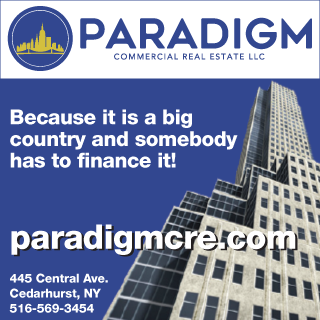 Paramount Realty USA has been hired by a private developer to auction a partially-improved development site located on the Scarsdale/Yonkers border at 39 Morrow Ave. This Westchester property was purchased in 2005 by a former partner of the current owner's, which is one of Long Island's largest residential developers. "The property's Westchester location makes it a non-core asset for our client's organization," said Misha Haghani, one of the principals of Paramount Realty USA, "and the fact that our client has completed all of its developments nearby in the Bronx further reduces any economies of scale they may have benefitted from in the completion of this project." Illustrating their seriousness in selling the property, they have enlisted the expertise of Paramount Realty USAâ€”the real estate auction company responsible for numerous recent commercial and residential auctions throughout New York Cityâ€”instead of pursuing the more traditional and time-consuming route of listing the property with a regular broker. Haghani commented "We are thrilled that this clientâ€”a sophisticated and well-established developer for over 30 yearsâ€”recognizes the value and efficiency in bringing the property to market by auction with us rather than listing it the old fashioned way, which is just thatâ€”old fashioned." In fact, the property has never before been listed with any broker; thus the auction is the first opportunity for savvy buyers to get access to this property, which borders the upscale Scarsdale community, along with a virtual road map of how to successfully complete it. "This auction represents an incredible investment opportunity for a local, regional, or national developer to step in and complete the originalâ€”and sure to be profitableâ€” vision of the current owner," said Haghani. "The seller has clearly demonstrated to the marketplace its commitment to sell by guaranteeing a sale at any bid equal to or above $1.9 million, which is extraordinarily attractive for any prospective buyer." Perched atop a steep hill, the development is fully-approved for 42 three-story townhomes ranging in size from about 2,400 to 2,500 s/f. There will be two distinct styles of townhomes, each containing 3 bedrooms, 2.5 baths, kitchen, living and recreation rooms, and a private two-car garage. In addition, the gated community will have a 1,790 s/f community center (or clubhouse) for residents to congregate. The Minimum Bid auction will likely take place on Wednesday, December 14 at 6 p.m. at the Roosevelt Hotel in Manhattan. For more information about the property and the auction, interested parties should visit http://www.prusa.comwww.prusa.com.